This is a crucial year for the international efforts to address climate change, culminating in COP 15 of the United Nations Convention on Climate Change (UNFCCC) in Copenhagen on 7-18 December. There, Parties to the Convention and the Kyoto Protocol are expected to agree on an ambitious and effective international response to climate change for the next commitment period.It is also a crucial year for the world’s forests. The Copenhagen agreement will likely include a range of forest-related adaptation and mitigation measures. 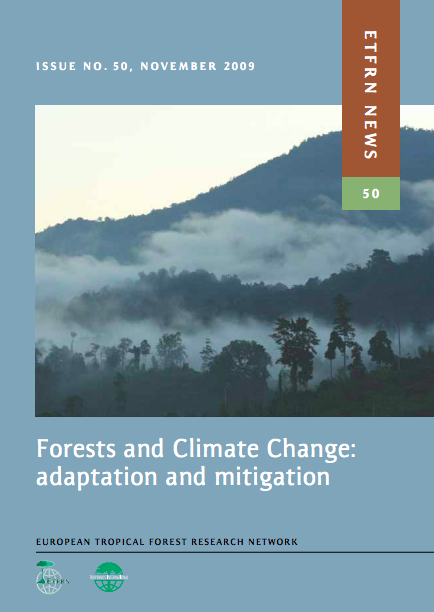 The mechanism for reducing emissions from deforestation and degradation (REDD) has been the most debated measure on the road to Copenhagen.The challenges after Copenhagen will be to put into practice whatever is agreed, and to develop the approaches, policies and practices needed to effectively integrate the objectives of climate change mitigation and adaptation with sustainable forest management (SFM) and biodiversity protection. These approaches must at the same time contribute to the welfare of rural people in developing countries.Forests and climate change are intrinsically linked, in ways that extend beyond carbon. Climate change and global warming could change the forest landscape worldwide and vice versa. Changes in global climate — through higher mean annual temperatures, altered precipitation patterns and more frequent and extreme weather events — may have diverse effects on forests, including stress, compositional and functional changes, and changes in the capacity of forests to provide products and services. These effects are as yet poorly understood.Forest ecosystems capture and store carbon dioxide (CO2), making a major contribution to the mitigation of climate change. When forests are destroyed, over-harvested or burned, however, they can become a source of CO2 emissions. using forests and trees as part of a strategy to cope with impacts of climate change--in this way, forests become part of a climate strategy for adaptation.